We know it’s the season of giving, and a lot of people will be receiving brand new shiny electronics. Cell phones, flat screen televisions, laptops and tablets, all with the latest technology in it. After the sound of ripping paper has died down and the screams of happy children (or adults) have gone, what do you do with the old electronics? Electronic disposal is not an everyday subject. That out of date cell phone gets tossed in a drawer, keeping company with the other phones from past years because you know you shouldn’t throw it in the trash. What do you do then? How can you recover the use of that drawer for what it was meant for? Not just a silent grave for old technology. 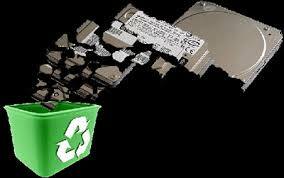 BoxQ Electronics in MA is the recycling, resale and data destruction company to contact. We know how electronic disposal can hurt the environment and most people don’t want the headache of dealing with waste regulations, but at BoxQ we can give you options, like selling your used electronics, donating old electronics or recycling them. It’s important to do what we can for the environment as technology becomes a larger part of our normal day and BoxQ Electronics can lead the way.